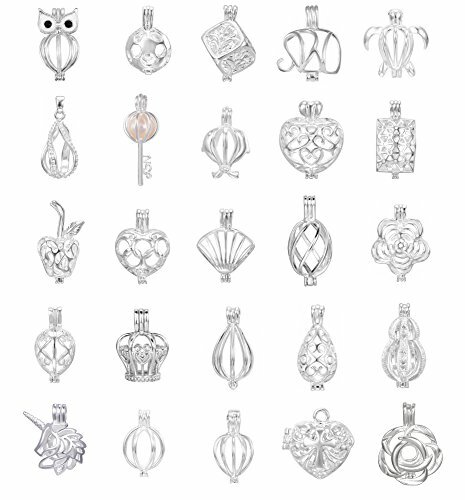 10pcs Mix Jewelry Making Supplies Silver Plated Bead Cage Pendant - Add Your Own Pearls, Stones, Rock to Cage,Add Perfume Essential Oils to Create a Scent Diffusing Pendant Christmas Charms by Yaoding at Designers Artists. MPN: 43216-120491. Hurry! Limited time offer. Offer valid only while supplies last. If you have any questions about this product by Yaoding, contact us by completing and submitting the form below. If you are looking for a specif part number, please include it with your message.